Robert (Bob) J. Kauffman — Hartley, Rowe & Fowler, P.C. Mr. Kauffman concentrates his law practice in the areas of commercial real estate transactions, real estate finance, and general business law. Mr. Kauffman has assisted many clients in the sale, acquisition and financing of commercial and residential development projects all over Georgia. He has worked extensively with lenders, developers and owners, steering them through commercial financing and the numerous legal issues that naturally arise in the areas of development, sales and leasing. In addition to his transactional practice, Mr. Kauffman has helped numerous clients form their business entities, buy and sell businesses, and assisting with a wide range of business issues. 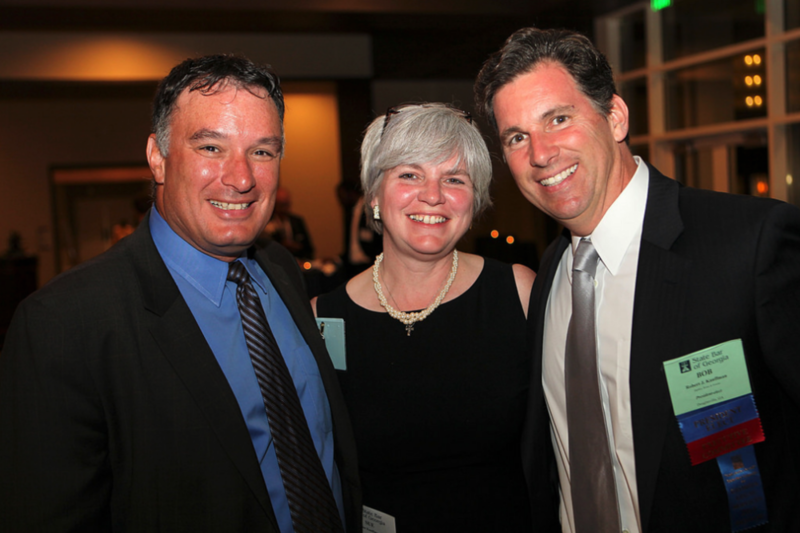 "State Bar Installs New Officers"